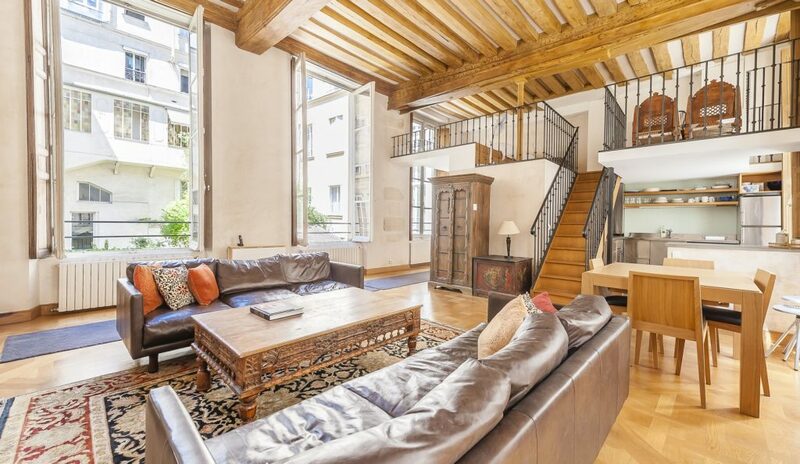 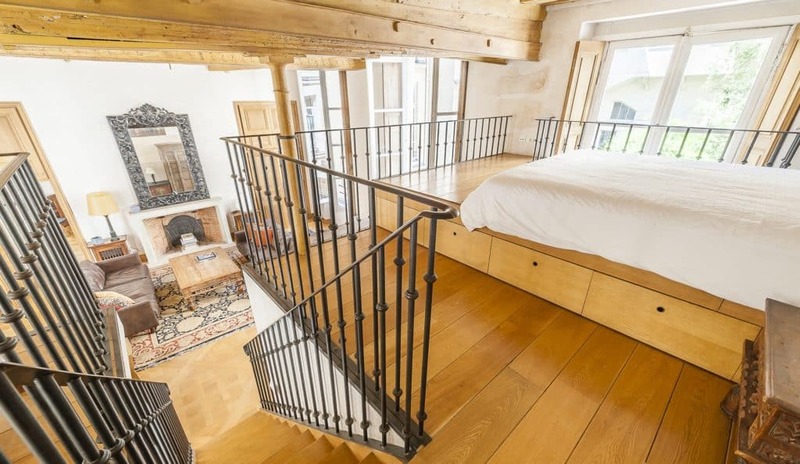 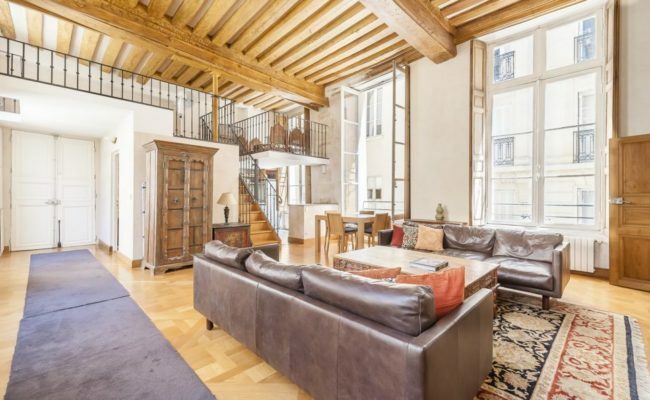 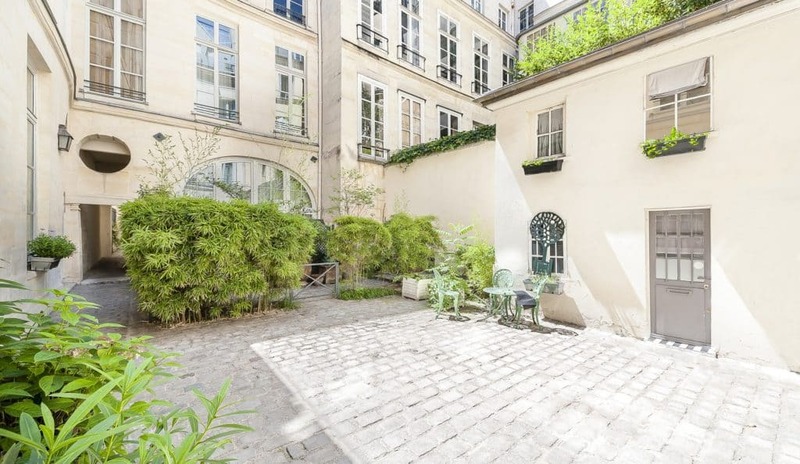 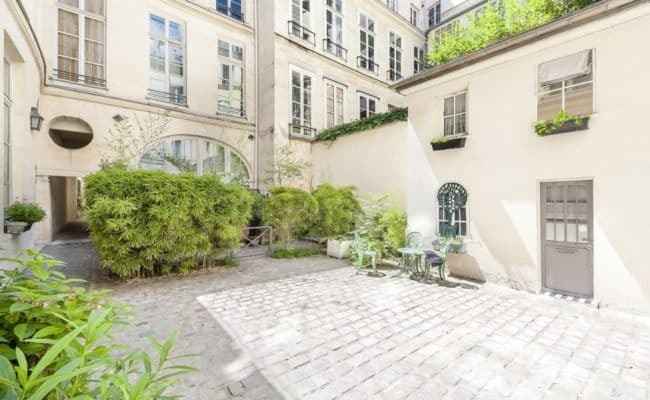 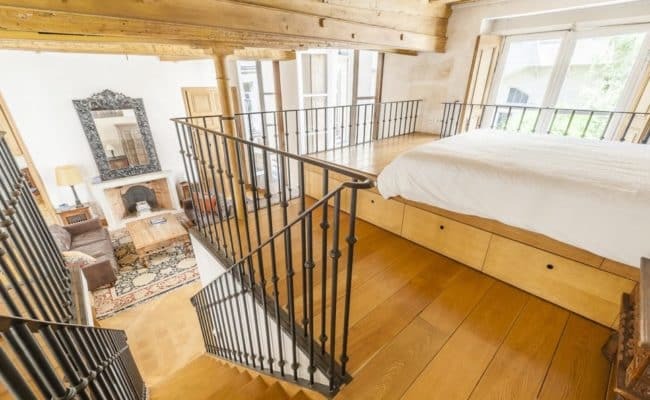 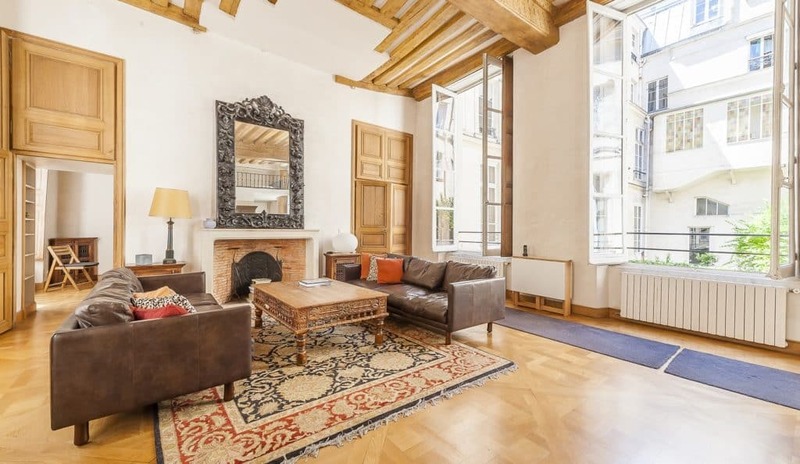 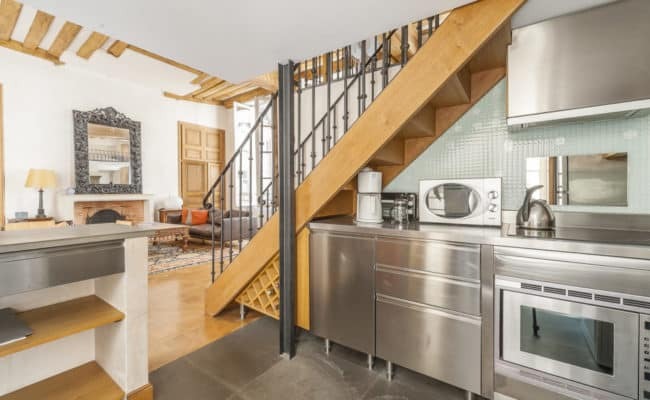 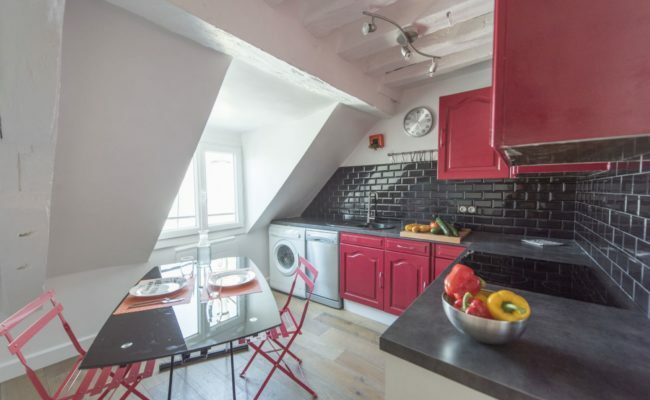 Two bedroom: Ideally located in the Marais district, between the Place des Vosges and the Seine River, this 98m2 duplex property is within easy walking distance to all the historic sights in central Paris. 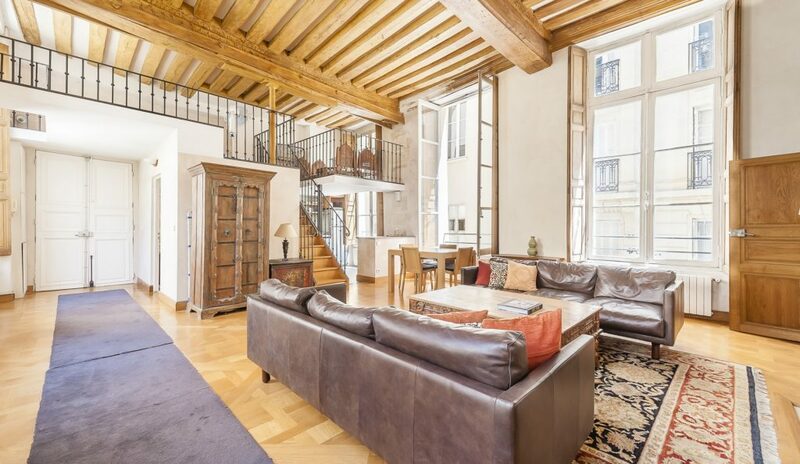 This 98m2, renovated duplex apartment is located in a historic 17th-century building, perfectly located for enjoying all the city has to offer. 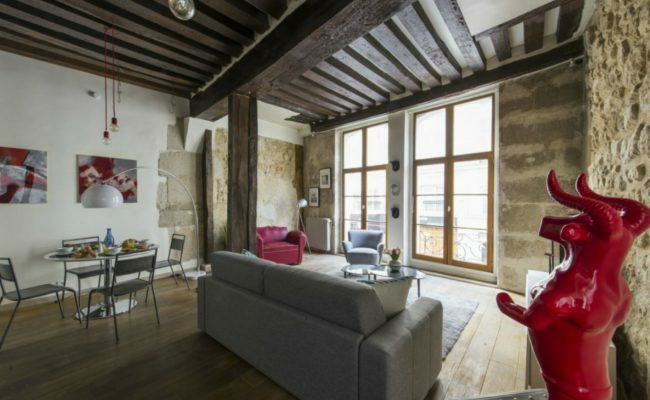 Bathed in light, it benefits from a 5-metre high ceiling and large windows overlooking a quiet street on one side and a courtyard on the other.The apartment spans the entire width of the floor and faces both south-east and north-west. 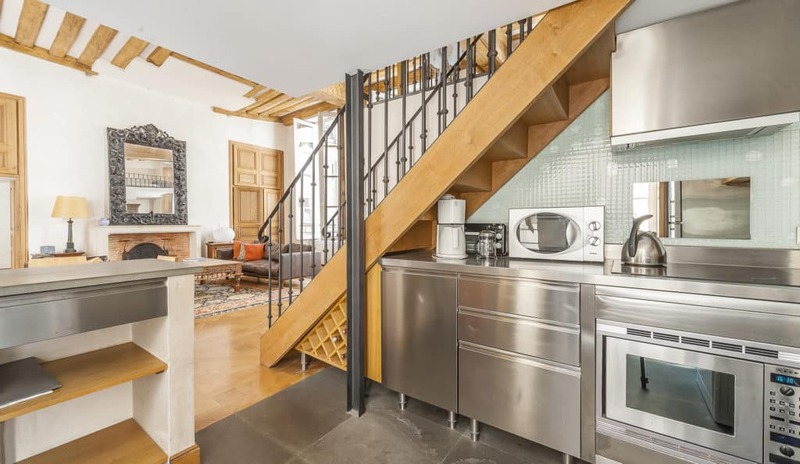 It consists of a spacious living room with an open, fully-equipped kitchen, a master bedroom and another bedroom on a mezzanine level. 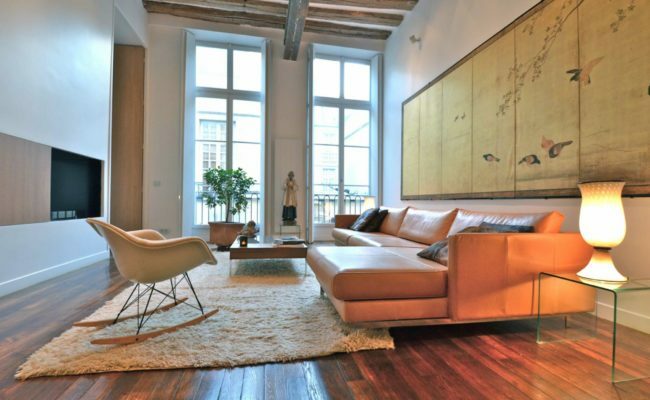 The interiors are modern with high-end finishes including air conditioning. Ideally located in the Marais district, between the Place des Vosges and the Seine, this two bedroom property is close to the metro station Saint-Paul (metro line 1), and all amenities: cafés, bakeries, cheese shops, wine shops, florists and the famous boutiques of the rue du Pont Louis-Philippe. 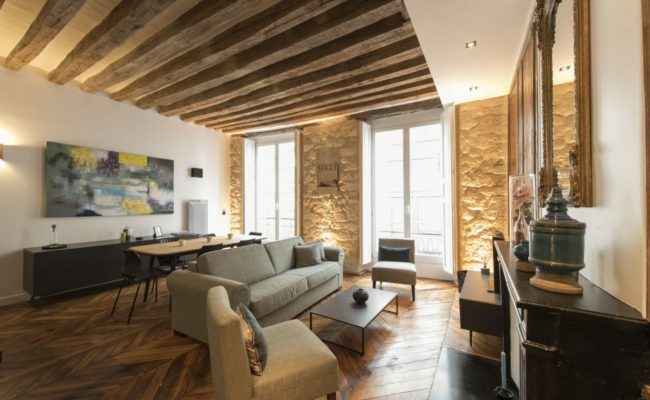 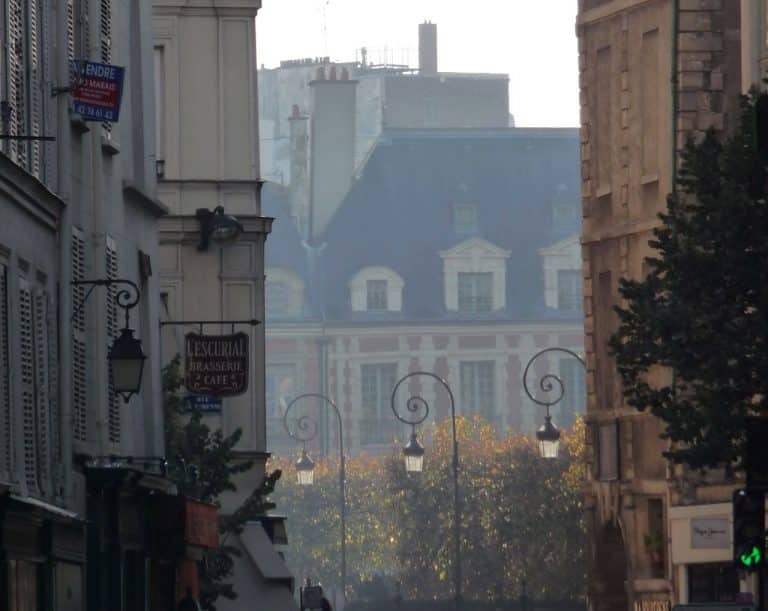 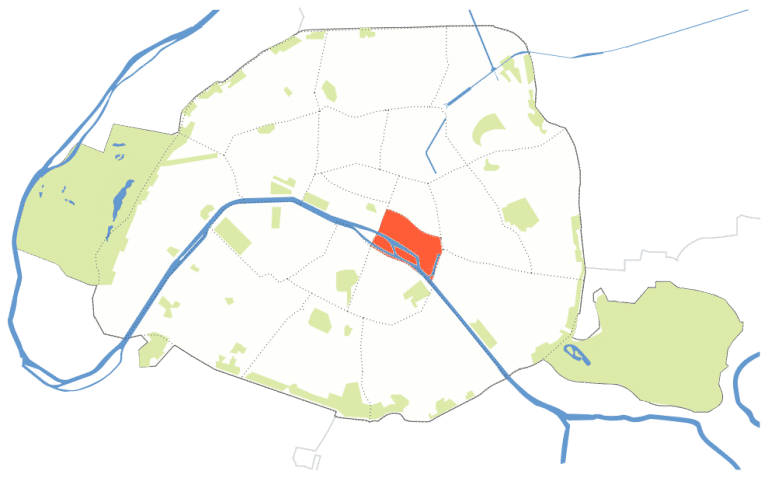 The apartment is within easy walking distance to all the historic sights in central Paris, while offering an oasis of calm to retreat to after a busy day spent exploring the city. 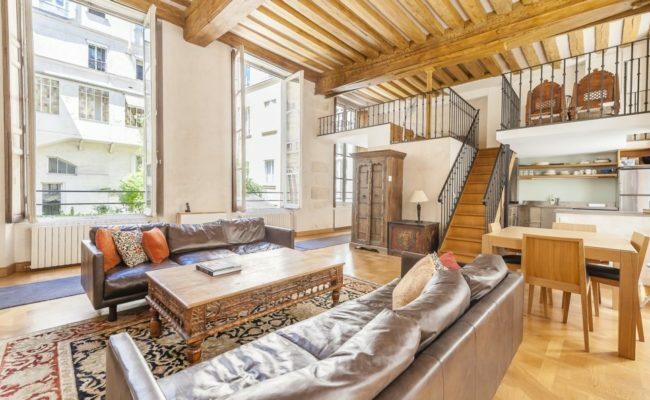 It offers great opportunities for resale and long-term rental, which is estimated at € 3,500 per month.